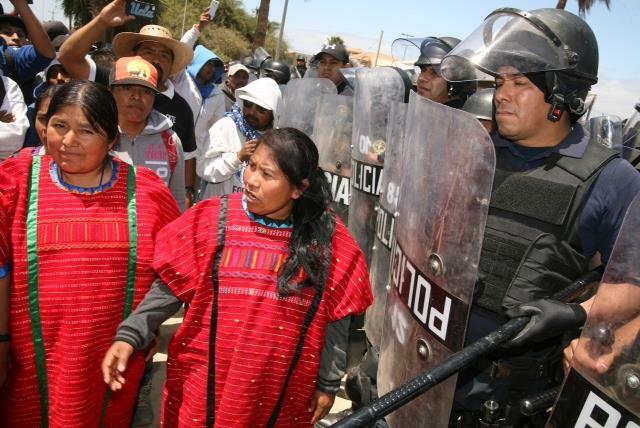 Zapatistas called for multiplying solidarity with protesting farmworkers as clashes with police left dozens injured in San Quintin. 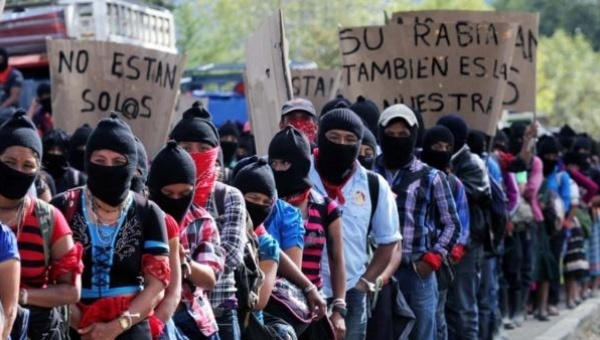 The Zapatista Army of National Liberation (EZLN) has called for solidarity with Mexican farmworkers facing government repression in their ongoing struggle for dignified labor conditions in San Quintin, Baja California. 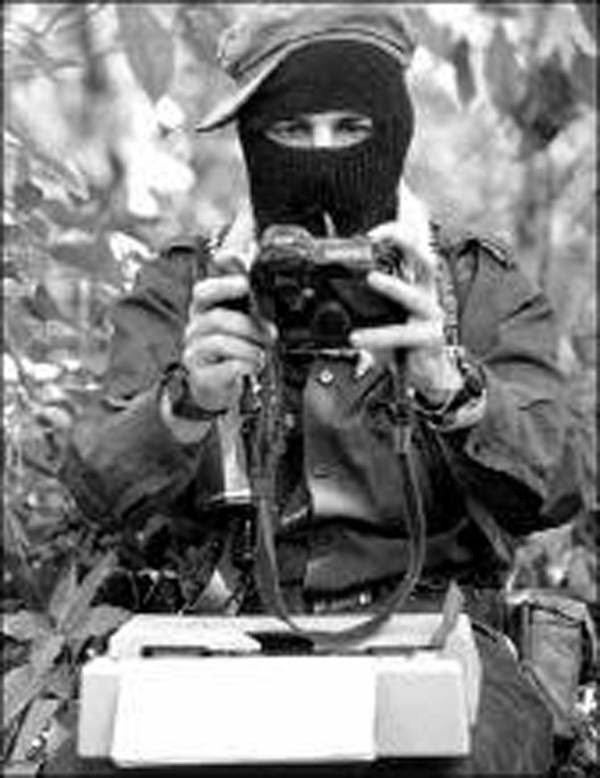 During the closing session of the Critical Thinking Against the Capitalist Hydra Seminar in San Cristobal de las Casas, Chiapas on Saturday, Subcomandante Moises said the EZLN was enraged by police repression against San Quintin workers earlier the same day and called for society-wide solidarity with the agricultural workers. ​Subcomandante Moises emphasized the immediate need to find ways to support those struggling in San Quintin and called for communities to organize to “multiply” the hotbed of ideas generated from the meeting. Clashes with police in San Quintin Saturday erupted after an early morning police raid entered workers’ homes in the community of Triqui, according to community leader Justino Herrera as reported in Mexican newspaper La Jornada. The police presence was reportedly brought on after a local ranch owner asked police to patrol the area in anticipation of protesters trespassing with the alleged intent to burn or attack the private property in protest. At least 70 were injured in confrontations with police, including many hit by rubber bullets in their homes and six hospitalized in critical condition, La Jornada reported. At least two police cars were set on fire during the protests. The repression against San Quintin farmworkers comes days after the movement called for a boycott on Tuesday of the international companies operating in Mexico that export the produce they harvest, mostly to the U.S. While calling for solidarity with the repression and ongoing struggle in San Quintin, EZLN Subcomandante Moises also drew parallels to the ongoing struggle for justice in the case of the 43 missing Ayotzinapa students. 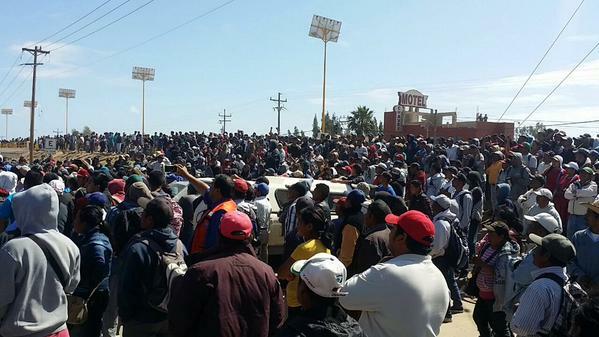 Tens of thousands of San Quintin farmworkers have been protesting since the launch of a workers’ strike to demand adequate salaries and an end to slave-like working conditions in March.